Farmers. Ranchers. Cattlemen. What do they have in common? They all need space. While many already tend to acres of land, they also need durable and affordable indoor space. Check out the 4 reasons Global Steel Buildings make great additions to any farm or agricultural business. When you buy a Global Steel Building for your property, you are getting more than a building. You are investing in the overall safety and security of your farm, business, and livelihood. 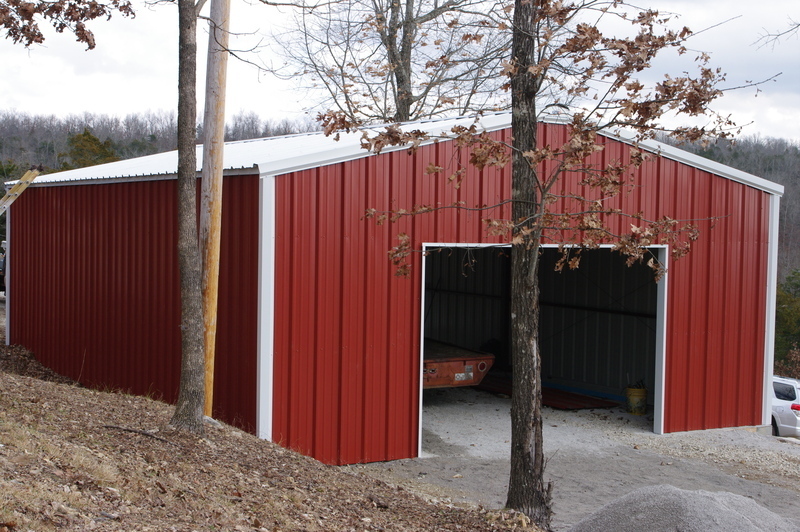 Our buildings are designed with 26-gauge, high rib steel sheeting in order to be stronger and last longer than any other do-it-yourself steel building kit on the market. Those still using wooden structures to house expensive equipment, livestock, and crops take on a huge liability of losing everything to fires and natural disasters. In fact, fires can pose big problems for many in the agricultural arena. With a Global Steel Building, you don’t have to worry about everything you need to survive going up in flames. Our steel buildings are fire resistant and lessen the likelihood of you losing a building. 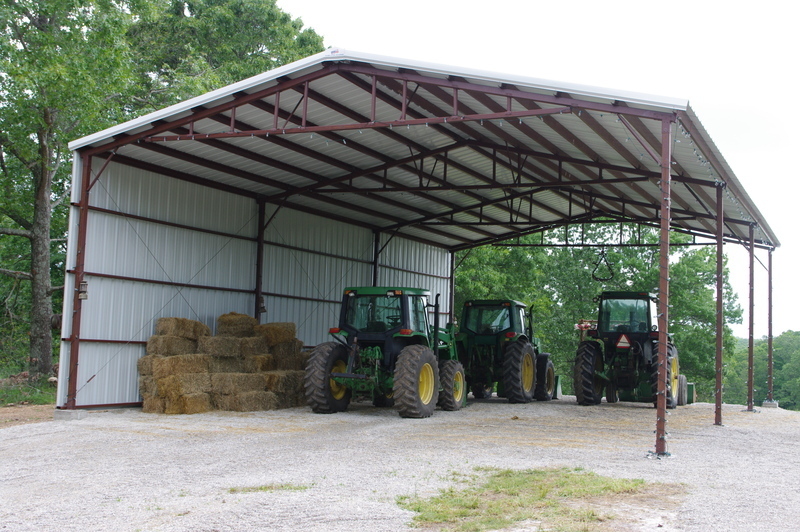 Do you need a pole barn, additional hay storage, another building to store your new tractor and equipment, or a barn to house livestock? One of the best things about Global Steel Building Kits is that they can be customized to your specific agricultural needs and designed to create the most efficient working environments. We work with our clients to understand how they plan to use their building. What size garage or barn door do you plan on using? Will you need more than one entry? How many windows do you plan on installing? Giving us information about what you want in a building will help us guide you to the building that will best suit your needs. We can tell you whether a garage door will fit on the building you have chosen or if it needs to be taller. Our buildings have a 3/12 pitch, but we can also use steel I-beam to get the pitch that will best suit your needs. Deciding to make the switch to a steel building is easy. Steel buildings are stronger and more durable than wood structures. With our steel buildings, you never have to worry about termites taking over your building. Our steel structures are also mold, mildew, and water resistant. Do you live in an area that gets snow during the winter months? Do you know the snow load rating of the last building you purchased? Heavy snow can cause a lot of damage. At Global Steel Buildings, we can provide the snow load rating for every standard building kit we sell and can offer official engineer stamps upon request. We want our customers to be confident that their investments will be safe and protected in our buildings. Choosing to go with a DIY steel building kit may be more affordable than you think. By cutting out expensive labor and contractor costs, you can afford to build your next steel building at a fraction of the cost. With the savings, you can make more modifications and customizations. In addition to the savings you get from our DIY steel building kits, your insurance may also go down due to their durability, strength, and longevity. And remember, just because something is affordable, it doesn’t mean that it is cheap. When you buy cheap products like shoes, you often get what you pay for. Within a month, you are back at the store spending more time and more money to find another pair of shoes. The shoes were not affordable at all if you end up spending even more money. Global Steel Buildings are HIGH-QUALITY and AFFORDABLE buildings that will stand the test the time. Steel buildings aren’t just for agricultural uses. You can use them to as your new garage for all the family’s fun gear, such as your RV, classic cars, boats, and jet skis. Do you need a building for your business? Our buildings can even be transformed into your dream home. The possibilities are endless when it comes to our steel DIY building kits. If you need more information or if you have questions about our building kits, give us a call at (417) 256-3344. Let us help you discover how a Global Steel Building kit can work for you.